Mother Redcaps has regular day trips out each month inline with our on-going partnership with OOMPH! 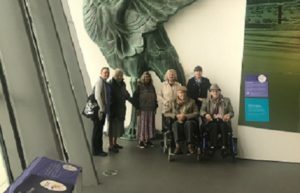 The most recent trip was to Liverpool World Museum which offers a wide range of activities, sessions and resources for community groups of all ages and the Residents of Mother Redcaps thoroughly enjoyed their time there. Families and friends were invited along on the day and you can see from the pictures below the whole event put some very large smiles on everyone’s faces! 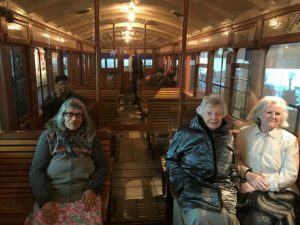 Not only are these events exciting for residents, the staff team also look forward to our day trips out as they get to see those they care for each day happy in a different environment. It is quite amazing to see the different conversations that a day trip to a new place can spark. The whole day was a success and the Residents returned home to Mother Redcaps for a lovely home cooked meal for their tea. We are always happy to show prospective residents and families around the home, please contact us to arrange a time to best suit you.